Every first holiday as a new mom is a special one. 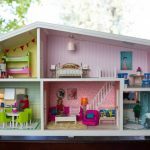 From taking special family photos to enjoying gifts both from and for your little one, holidays are some of the most memorable occasions for families. When mom is stressed out with a new baby she deserves all the love and affection you can give during Valentine's Day. Shower her with gifts for both her and the newest member of your family and you'll be winning your picks for the holiday. 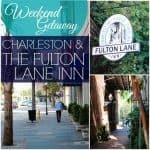 We selected a few of our favorite items for new mom's to help start your brainstorming off on the right foot. 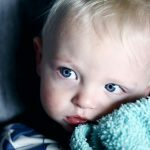 Ask any parent and they will tell you they just want happy, healthy children. Owlet's baby Cam and Smart Sock are here to put parents' worries at ease by launching the most complete baby monitoring system. 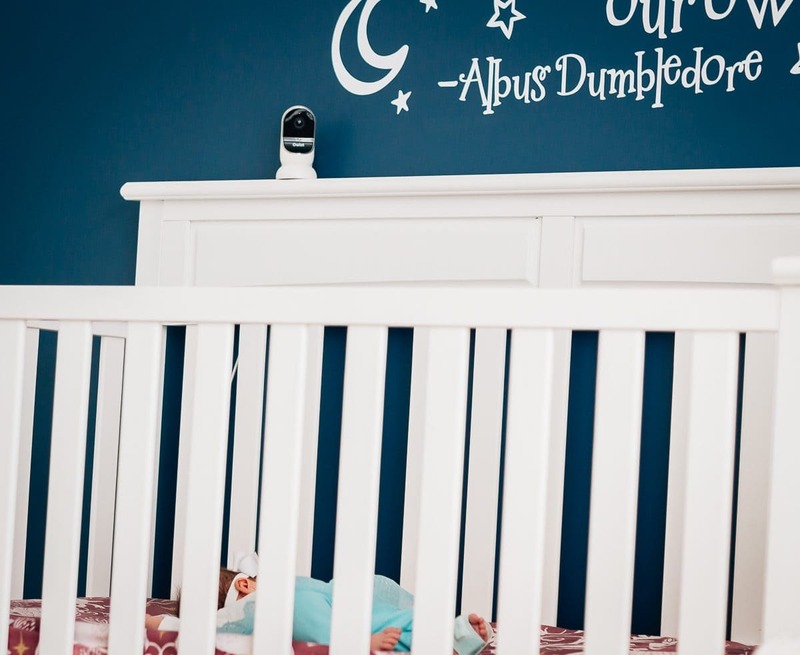 The Owlet Cam allows parents to hear, see, and talk to their baby from anywhere. Paired with the Owlet Smart Sock parents can now track baby's heart rate, oxygen level, room temperature and so much more. The Owlet app is downloaded onto a parent's phone allowing them to get secure information anywhere. 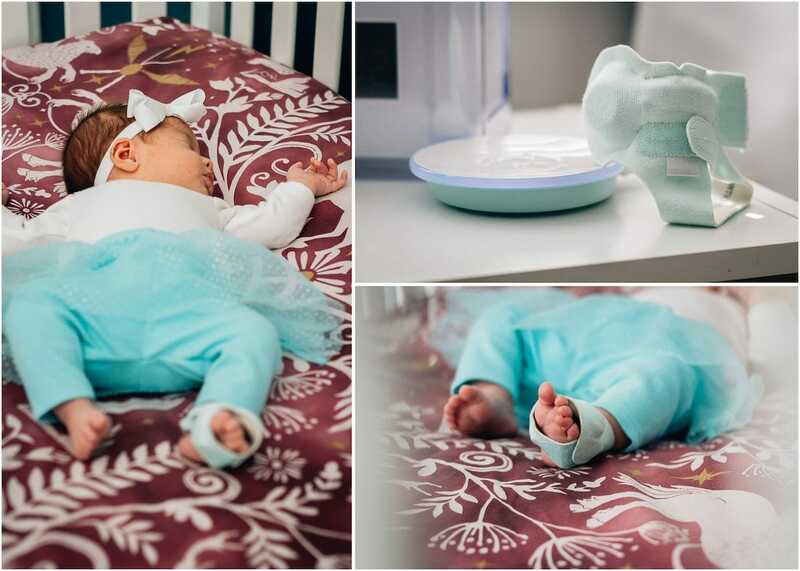 The Owlet Connected Care platform compiles the data from the Smart Sock and the Owlet cam allowing parents to receive up to date data based on biometric information about their baby. This includes heart rate, oxygen levels, sleep trends, and red notifications. 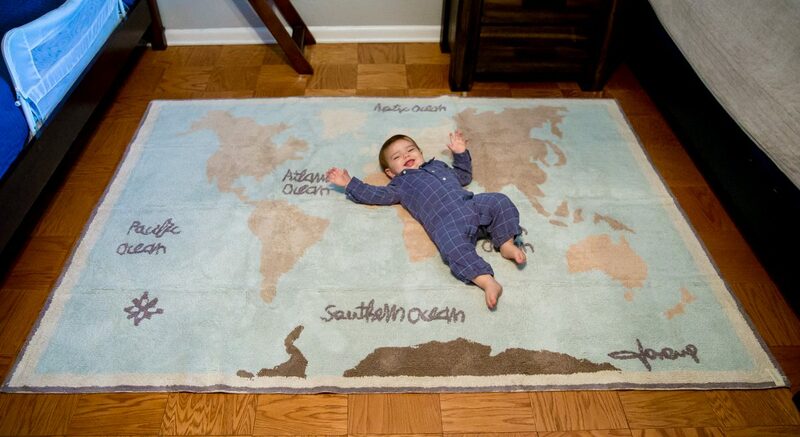 Whether you are expecting your first born or moving your toddler to his own room, a soft-spun, washable rug from Lorena Canals is a perfect gift for your little one this Valentine's Day. 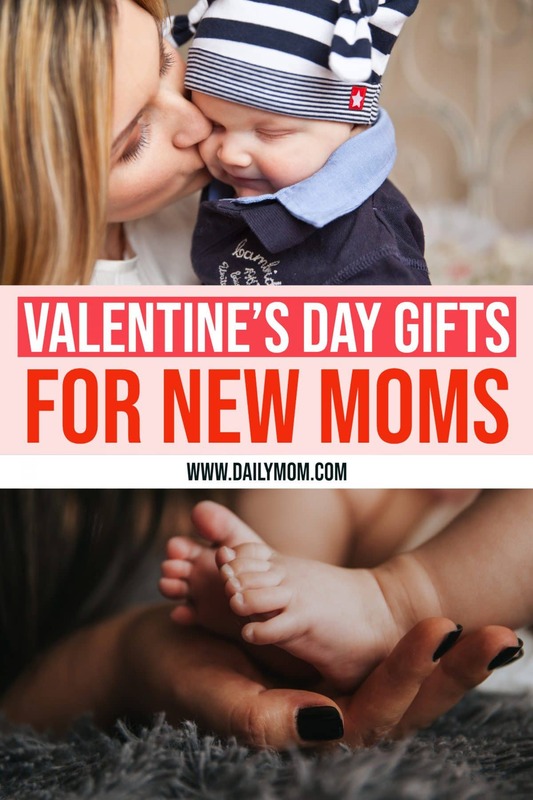 Enjoy the time with your little loves before they learn Valentine's Day is all about the chocolate, and gift them something meaningful, soft, cozy, and lovable. With a wide selection of beautiful, educational rugs and wall hangings, Lorena Canals has you covered this holiday giving the love of your life a soft spot to sit, read, or play. 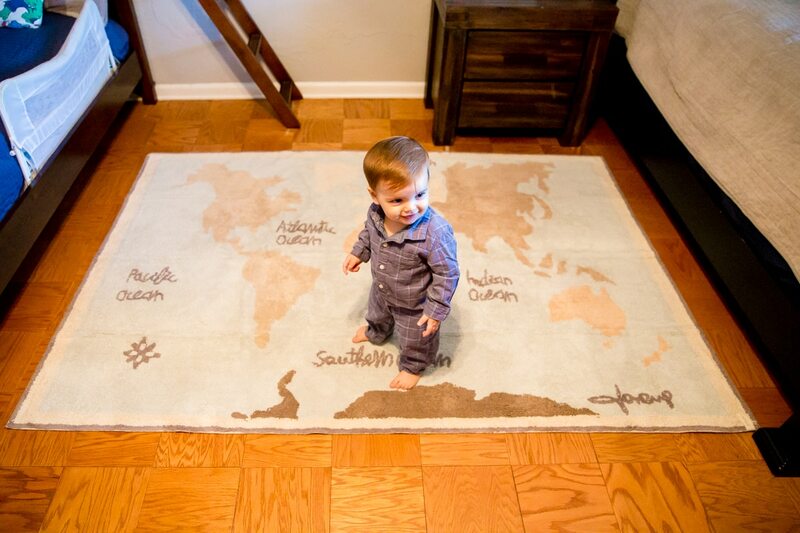 We love the Washable Vintage Map Rug. 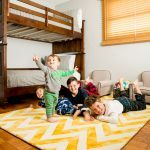 This 100% soft cotton rug is handmade and flexible making it the perfect centerpiece to your child's room. 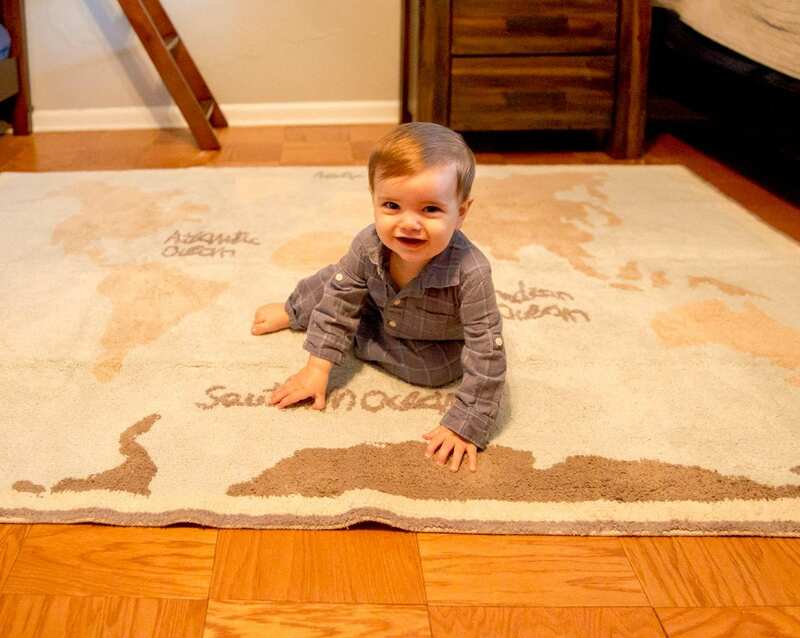 In muted naturals, this beautiful rug displays the continents and the oceans of the world which your child will simply love. 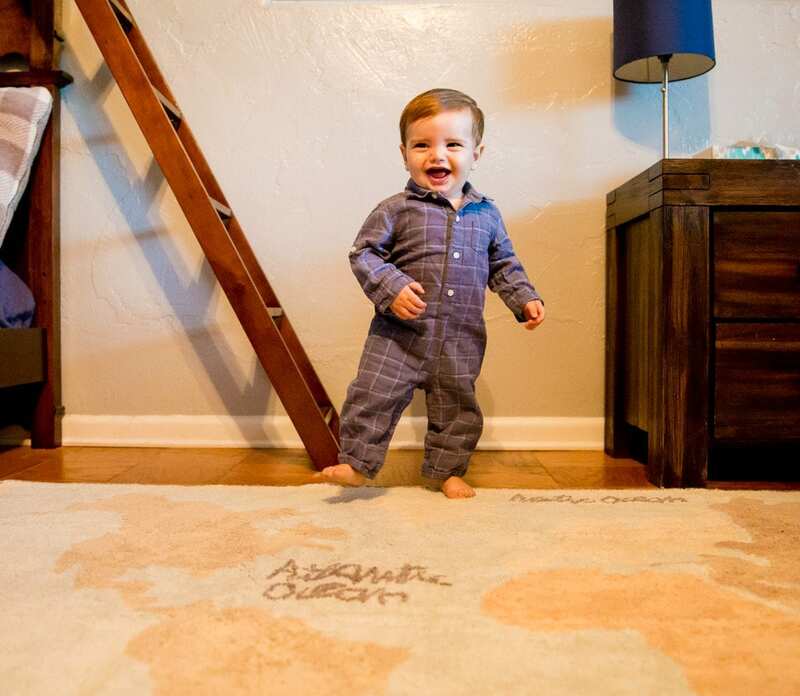 Create a comfortable, loving space for your child this Valentine's Day, let them experience all the cozy feels of heart and home with a handmade, soft spot just for them with a rug by Lorena Canals. The little ones in your life deserve something special this Valentines Day so show them your love and support with the Nook Pebble Lounger and Pebble Pouf Ottoman perfect for kids just their size. Comfort and support are so important for growing little bodies, and there is no better time to provide your littlest loves with the cozy, comfy, support of the Nook Lounger. Perfect for curling up with a good book or relaxing in the family room, the Nook Lounger is the ideal seating spot for kids. 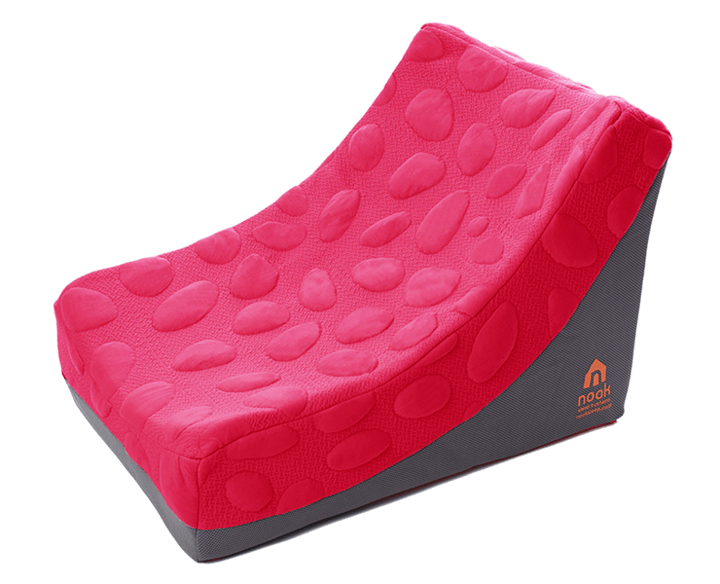 Soft and cushioned, while also ergonomically designed, your little ones will literally live in this seat while being supported and safe close to the ground. Whether propping up tiny feet or supporting books and toys while he plays, your little ones will love the Pebble Pouf Ottoman this Valentine's Day. 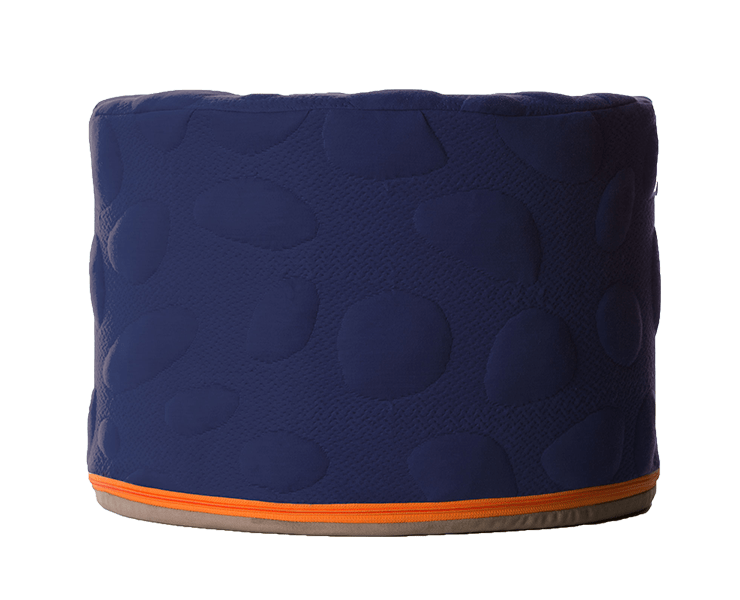 Soft, cozy, and oh so safe, this ottoman can be used throughout the home or child's room with no worries of sharp corners or hard surfaces while still providing a supportive yet safe surface. When a baby comes into your life that doesn't mean you need to give up your style. Give your Valentine a fashionable and functional way carry everything she needs throughout the day as a mom! 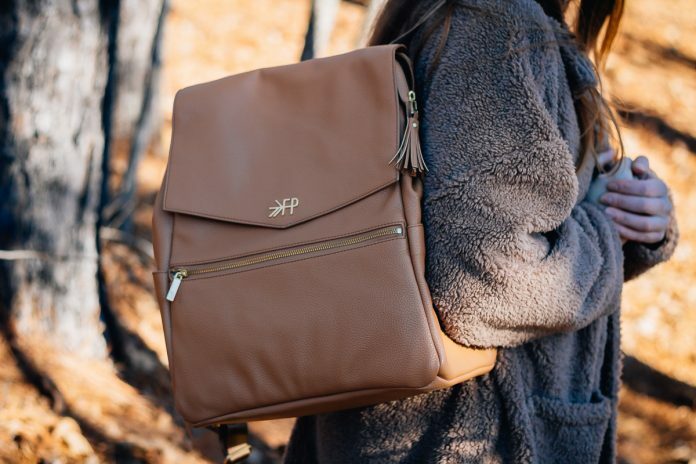 The Boxy Backpack from Petunia Pickle Bottle is a classic bag ready help your fashionista momma get out the door with ease. 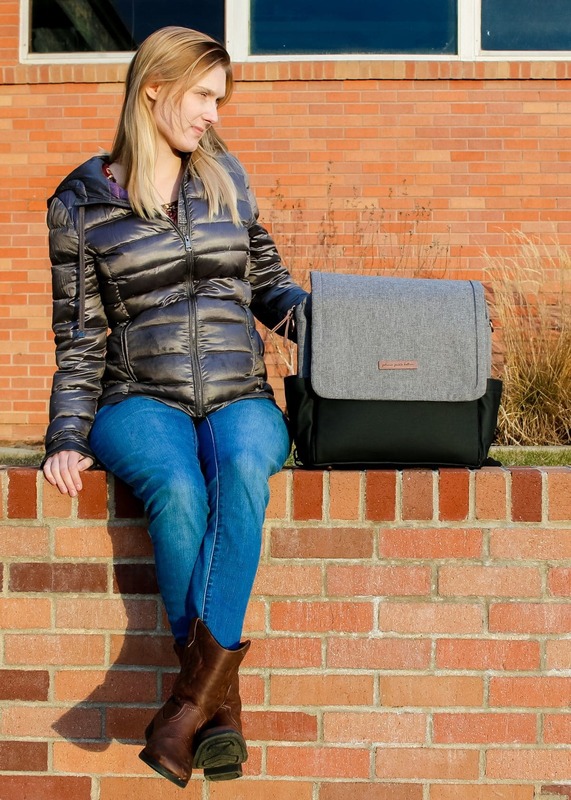 Designed specifically for the modern mom, the Boxy Backpack has a built in changing station, easy magnetic closure and multiple carrying options. 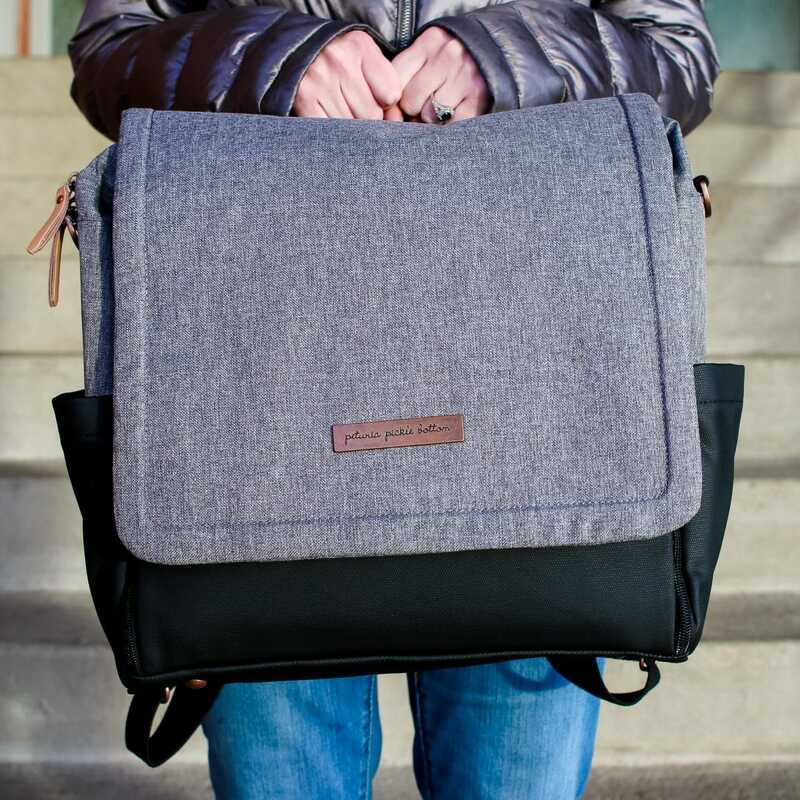 The exterior is coated canvas, making for easy cleanups and the interior lining is completely water resistant. Available in several color patterns, we love the graphic and black option. This classic design is sure to match any outfit Mom wants to wear! 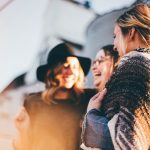 Once you experience life with Veer, you NEVER go back. 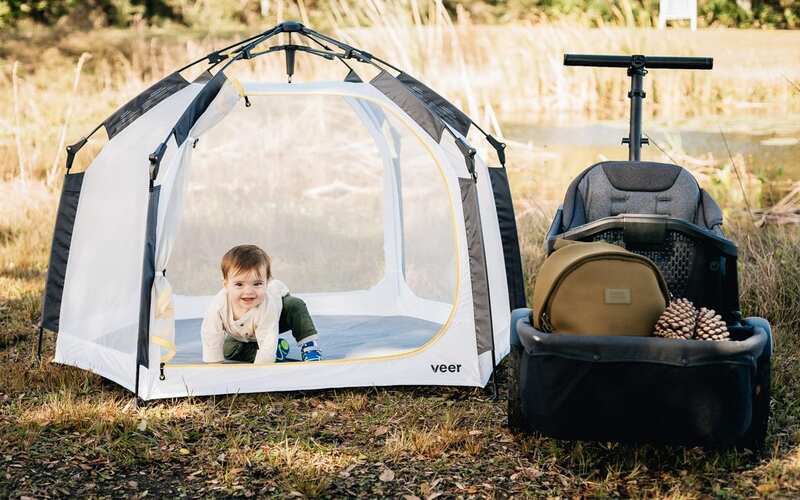 While we here at Daily Mom are a huge fan of Veer's amazing, ruggedly durable all-terrain wagon, we are just as excited this Valentine's Day about their newly released Veer Basecamp. 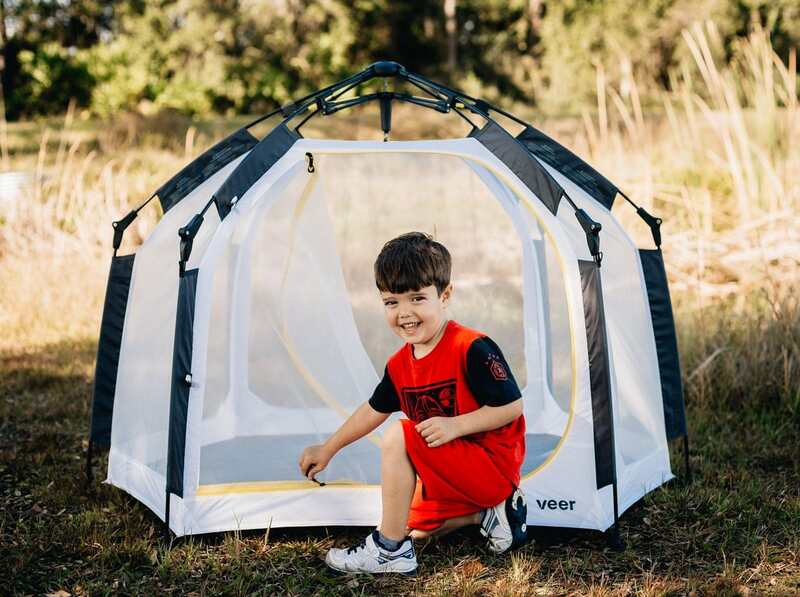 Here to meet all your family's adventuring needs, the Veer Basecamp is the perfect addition the Veer collection. 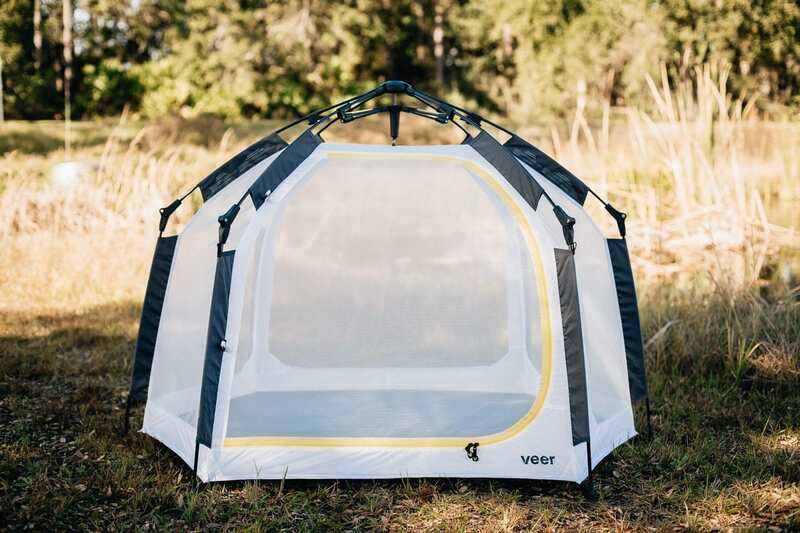 Simple, safe, and compact, the Veer Basecamp allows you to go further together. Getting families out and about is the mission of Veer. Don't leave the little ones at home this season, rather take them with and show them the journey of a lifetime. With Veer's Basecamp little ones have a safe and clean space to play, nap, and move around while out in the big wild world. 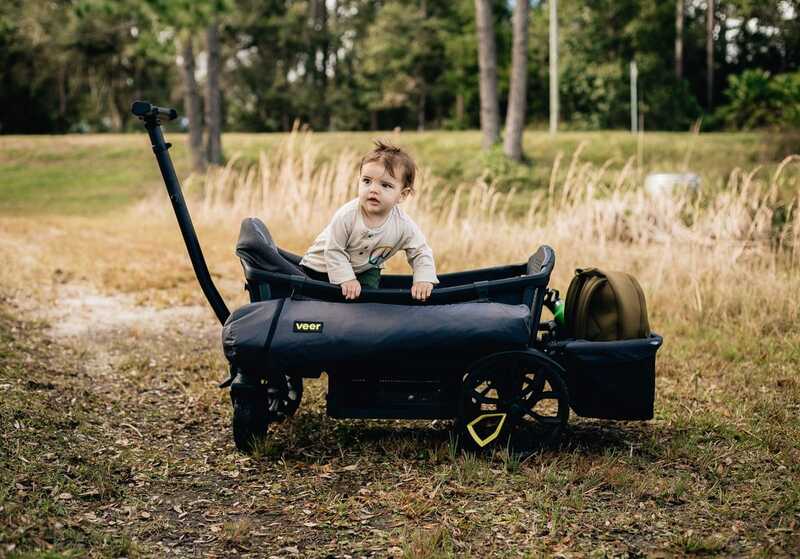 From the beach to the soccer fields, the forest to the playground, the basecamp will be the go to spot for safely securing your baby or toddler while still spending time outside. 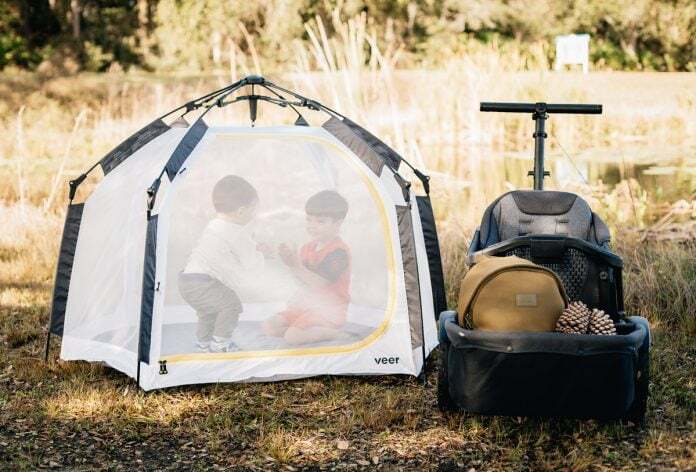 No longer do parents need to plan around naps or cut their day trips short with the Veer basecamp your youngest explorers will have their own place to play throughout the day. 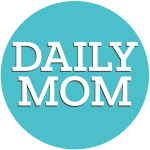 Do you have a veteran mom that you admire? You know the one who has been through the trenches and not only made it out alive but actually offers good, useful, non-condescending advice? The one we all love. 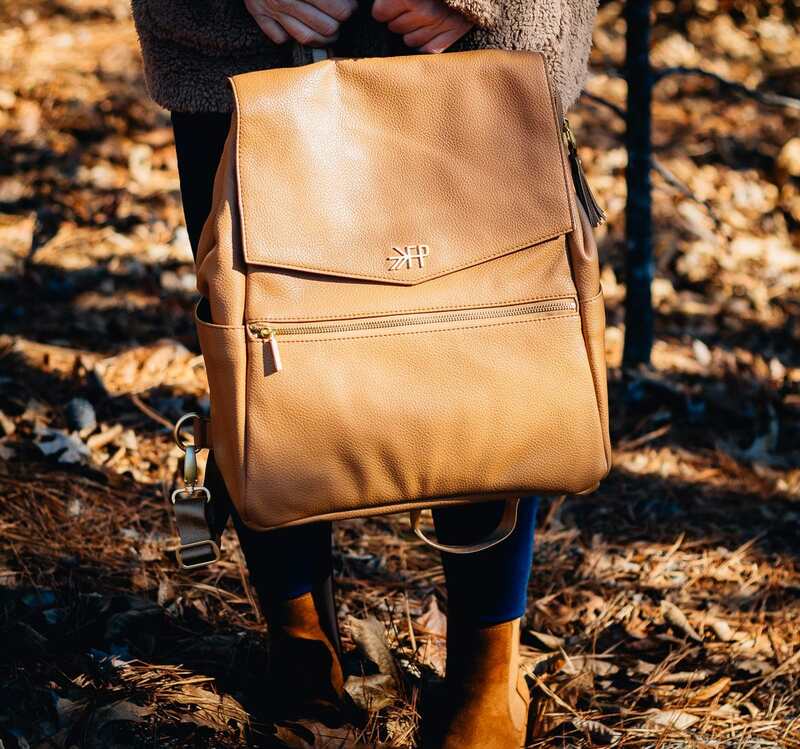 Well that is the kind of woman that designed the Freshly Picked Classic Diaper Bag. 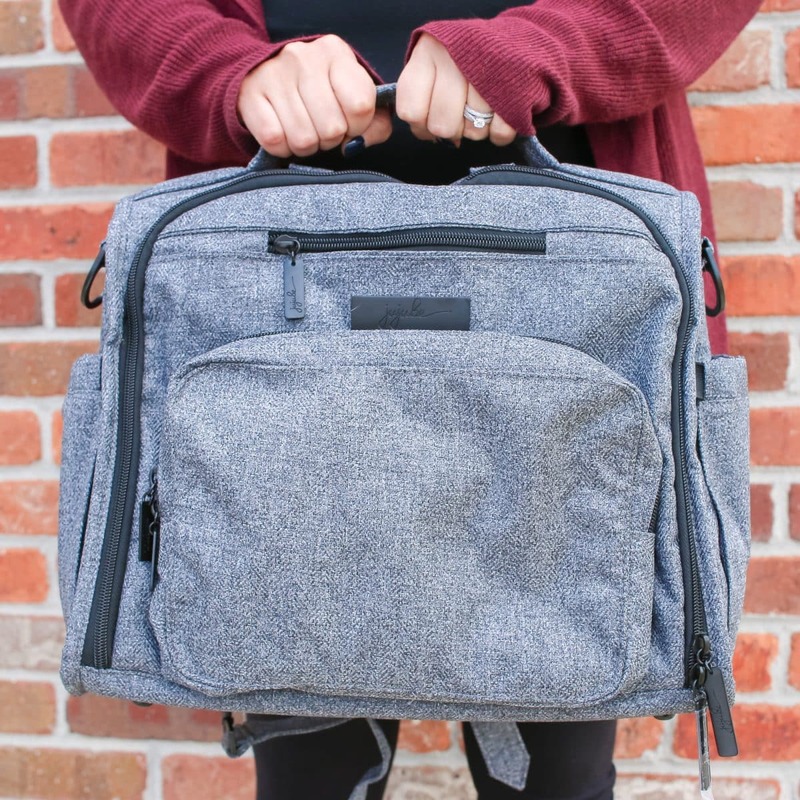 Freshly Picked conducted a focus group to figure out what moms really want in a diaper bag. They concluded: large capacity, easy to use, durability, and style. 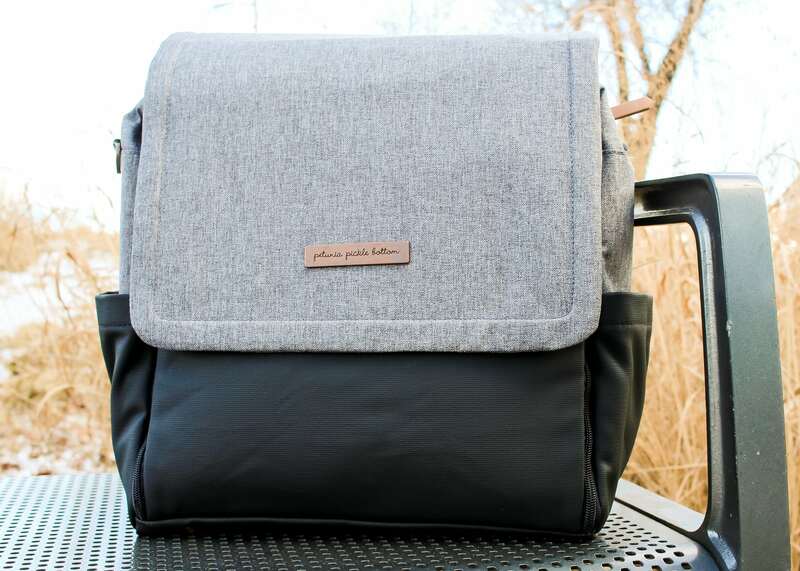 Thus the Classic Diaper Bag was born- and let us be the first to say it is absolutely perfect. Don't you just love that kissably, soft baby skin? 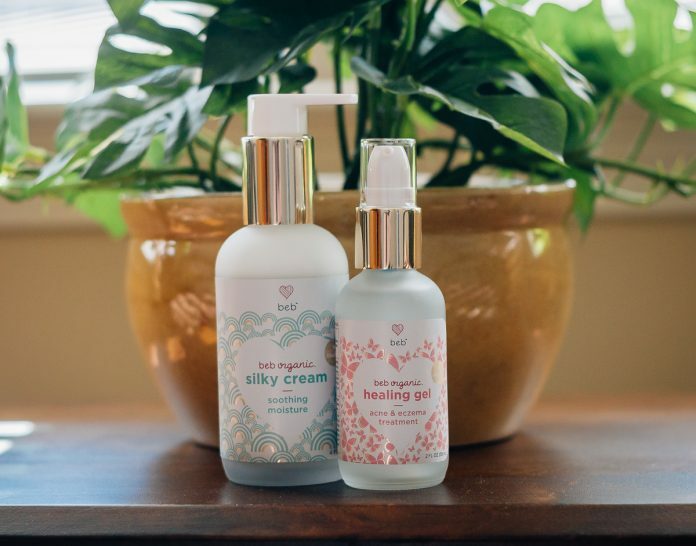 Baby skin deserves the ultimate in skin care, that is why we love BEB Organics. 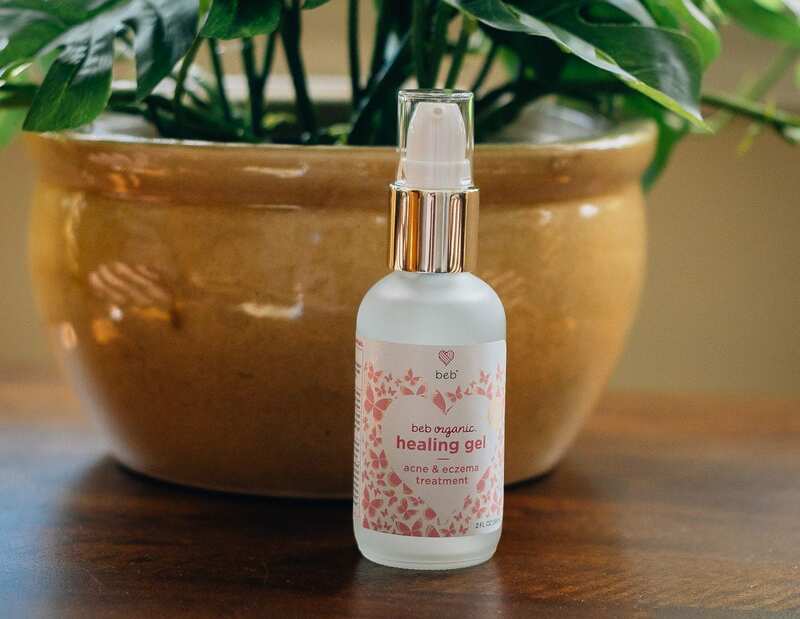 It is guaranteed safe for preemies and NICU approved, leaving moms and dads everywhere with peace of mind about what they are putting on their babies delicate skin. They source only the best ingredients guaranteeing they are all 100% non-GMO and all organic. The best ingredients make the best products, especially when it comes to our most precious gifts. The key ingredient is known as phytocura, a nutrient-rich complex that replenishes skin with a powerfully healing, bioactive nutrients. BEB Organics blends together 6000 bioactive compounds and an entire spectrum of micro and macronutrients. There are over 20 years of research backing phytocura and its effects on preemie skin problems such as severe dehydration, wounds and abrasions, and nutrient imbalances. Together, with a team of doctors and nurses, BEB organics was born. 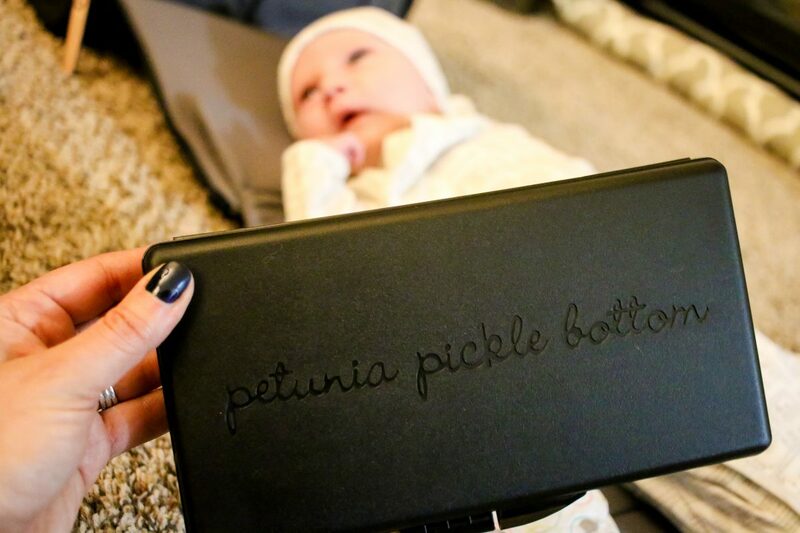 While BEB Organics is designed for the smallest babe, anyone will enjoy the benefits of phytocura. 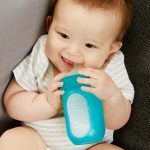 This product may be designed for your baby but you will love it as well. 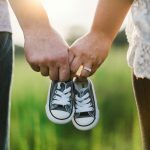 New mom’s have a lot on their mind, including making sure they have everything they need to get out the door with a little baby. 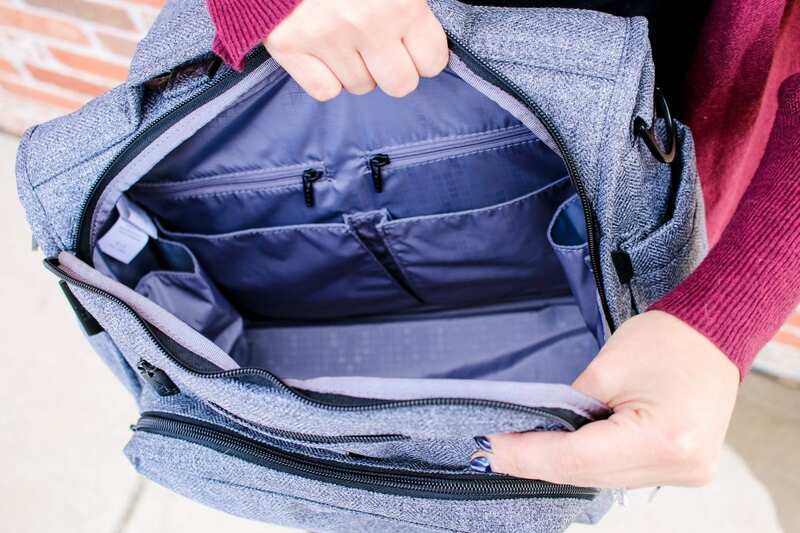 This Valentine’s Day you can help make mom’s life easier with a JuJuBe bag that will take her from the daycare to the board room. The B.F.F. 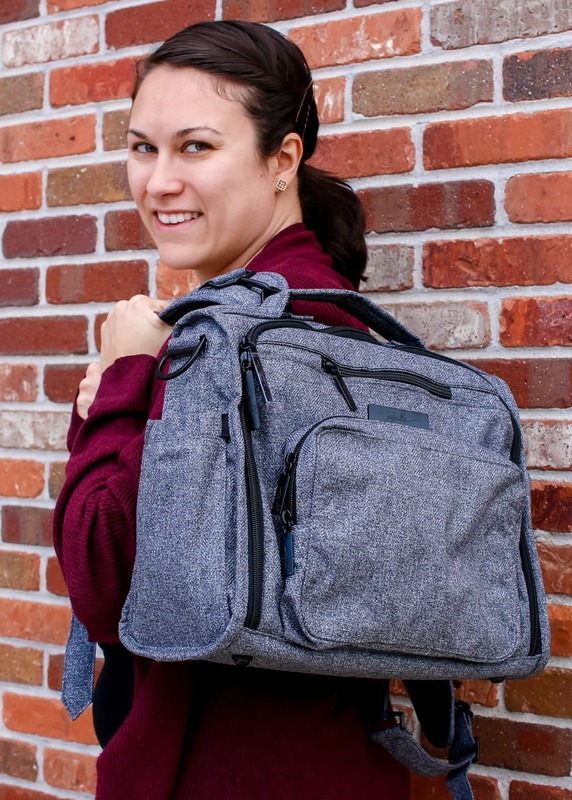 Diaper Bag from JuJuBe is a life safer for any mom on the go. 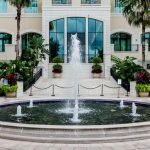 Treated with Teflon on the exterior, you won't need to worry about stains while the interior is Agion treated to prevent the growth of bacteria or mold. 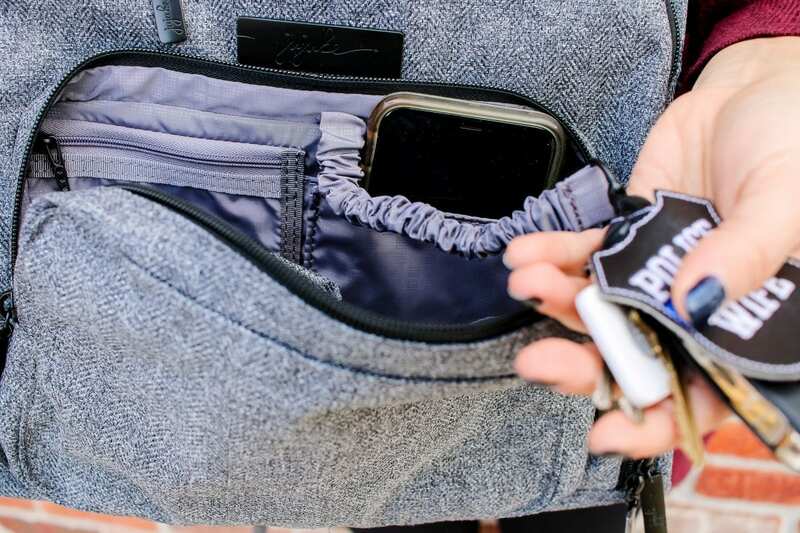 A front 'mommy-pocket' allows her to stay organized with keys, cell phone and sunglasses easily accessible. 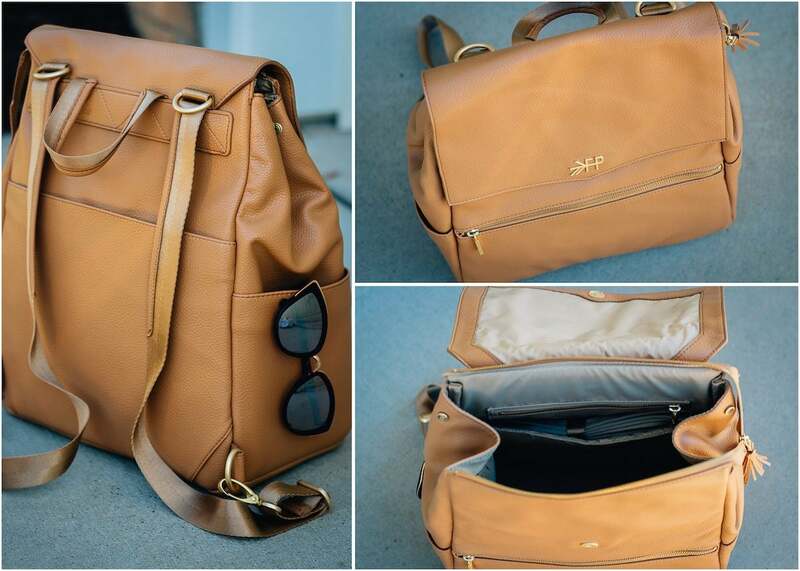 The bag's interior is spacious enough for everything you need to keep baby happy throughout the day. Intentional crumb drains even allow you to push out any nasty crackers that have found themselves crumbled at the bottom of the bag! JuJuBe has really thought of everything with this bag, including three unique carrying styles: Backpack, Tote or Messenger. 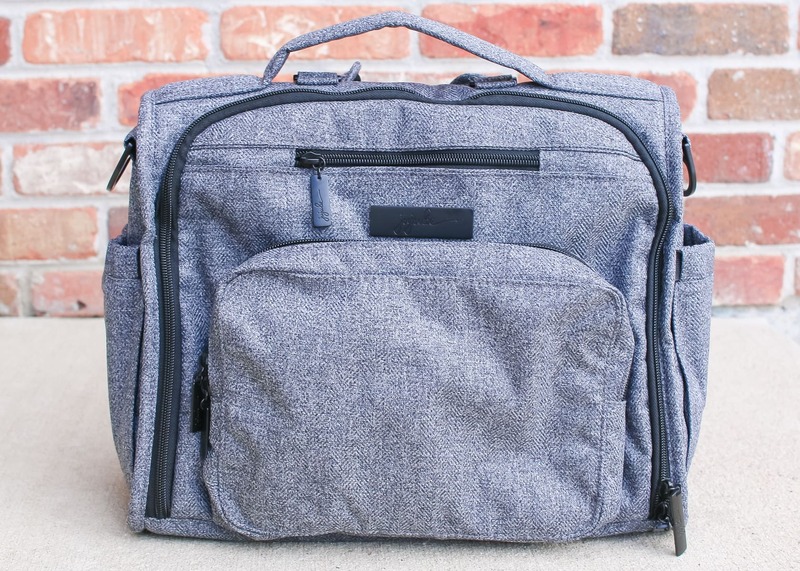 No matter where you have to go, this new diaper bag will be a game changer. 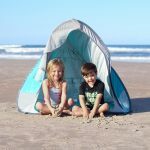 First holidays with your little one are a momentous and special occasion for the entire family. There is no better way to celebrate than with a beautiful keepsake outfit that you’ll enjoy photos of as they grow through the years. You can treat your little one like a prince or princess when you select one of the beautiful hand embroidered shortalls from Feltman Brothers. Paired with a ruffle knit bonnet you won’t be able to contain your joy over how sweet they look on their first Valentine’s Day celebration. Our most precious Valentine's gift as a new mom is the little bundle of joy we hold in our arms. We want to give our littlest loves something useful that they will love, but so much baby stuff is too cutesy. Look no further than the Magical Tales Black and White Gymini from Tiny Love. 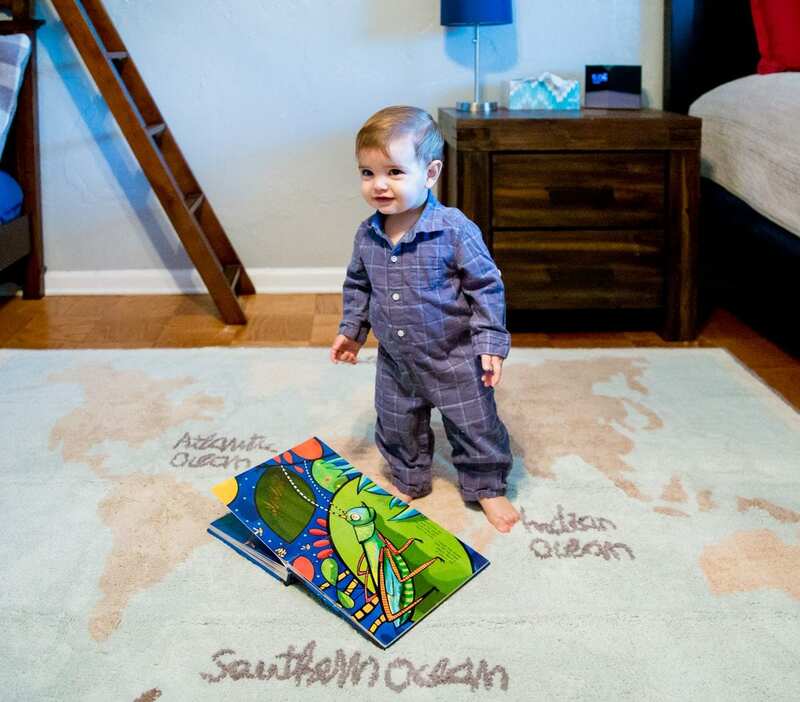 This stylish playmat offers bold colors and interactive toys that don't contrast with your living room decor. 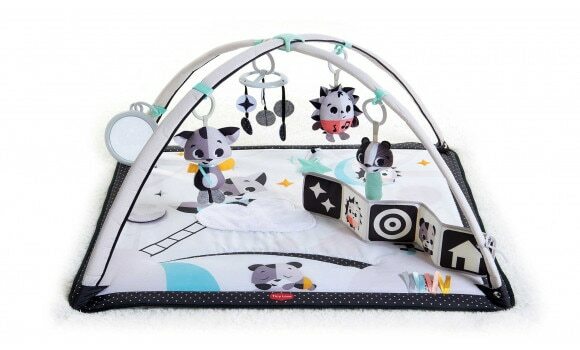 There are 18 developmental activities and interactive toys included with the playmat. Encouraging play and exploration are one of the best gifts we can give our babes. Cognitive skills are stimulated through the musical hedgehog while the soft, overhead mobile develops baby's sight and curiosity. 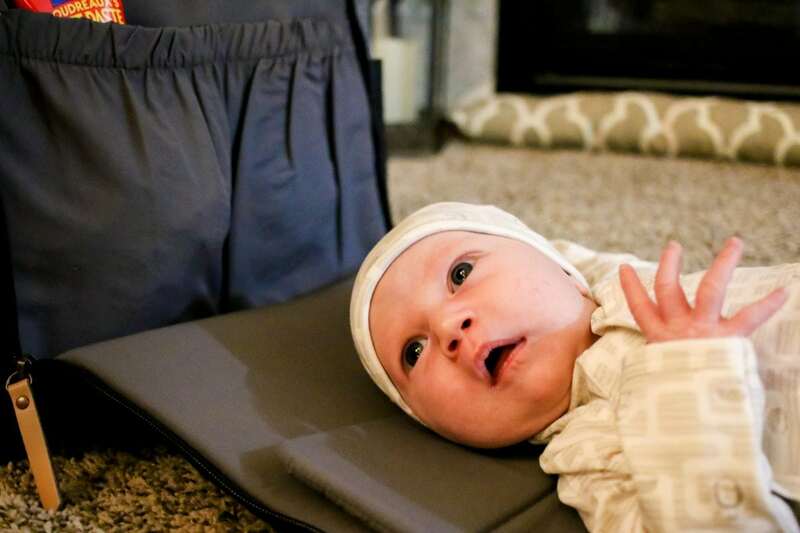 The arches adjust to open the mat to offer the ultimate in tummy time. You and your little one will love the endless entertainment provided by the Magical Tales Black and White Gymini. No matter how you choose to celebrate your first Valentine's Day with your new baby, we know that it will be a memorable occasion. Whether your pick up something big or small, we all know the most precious gift is the time you get to spend with your littlest love this holiday. If you want to celebrate with meaning this holiday check out Celebrating Valentine's Day with Acts of Heart.